Advantage Controls - NanoTron - industrial water treatment controllers, chemical metering pumps and accessories for boilers and cooling towers. NANO-F2 units provide dual, independently selectable timers. 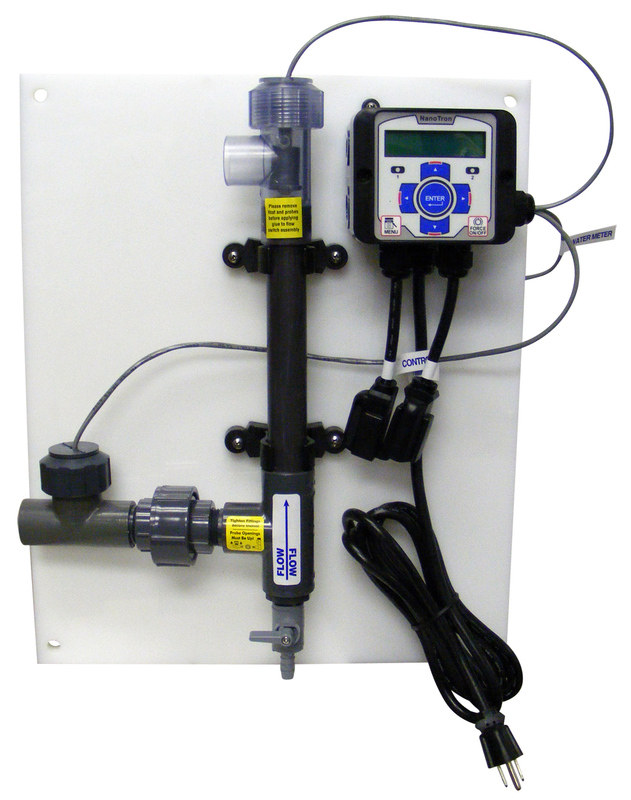 NANO-C units provide cold water (tower or loop) conductivity control and a single selectable timer. 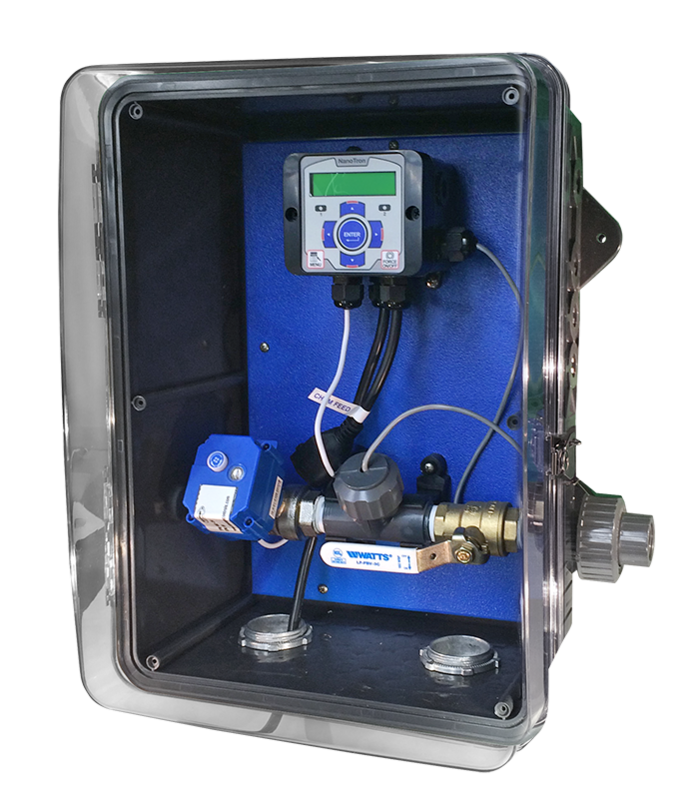 NANO-B units provide boiler water conductivity control and a single selectable timer. NANO-M units provide corrosion monitoring and a 4-20mA output of a single set of user defined metal tips. 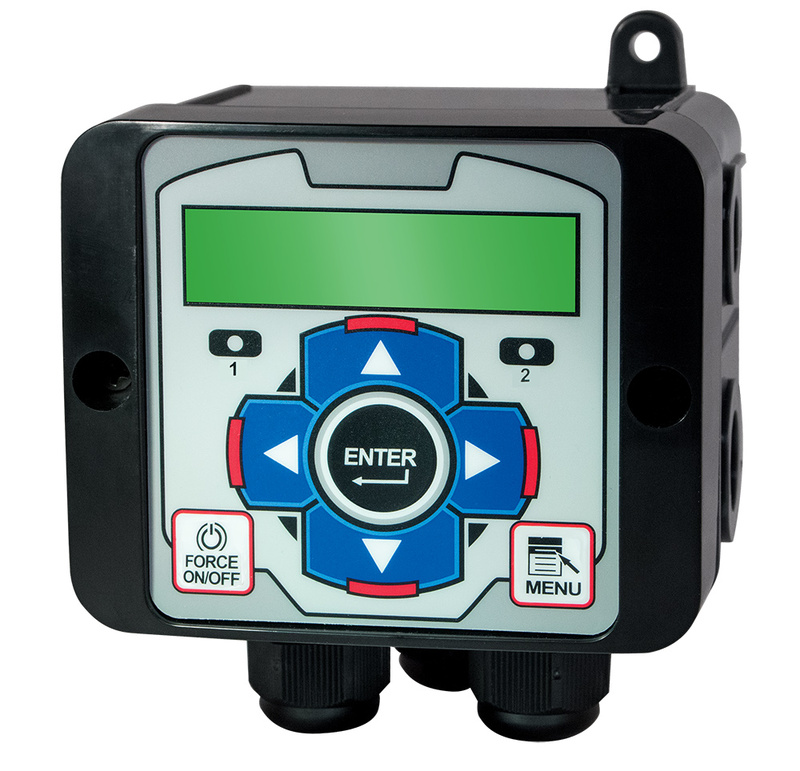 NANO-N units provide monitoring and control of a 4-20mA input and a single selectable timer. 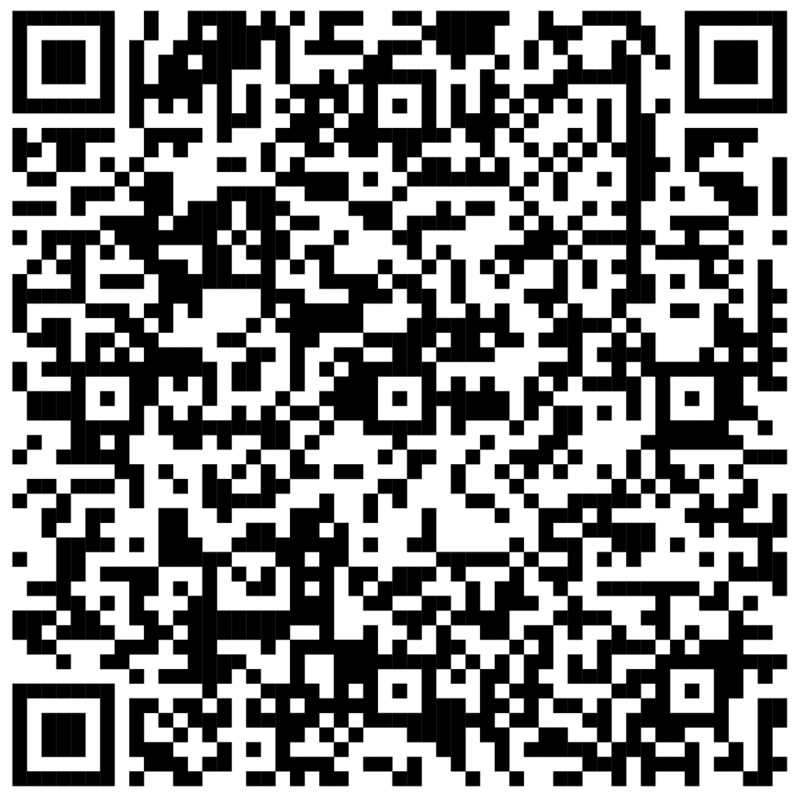 NANO-P units provide pH monitoring and a single selectable timer. 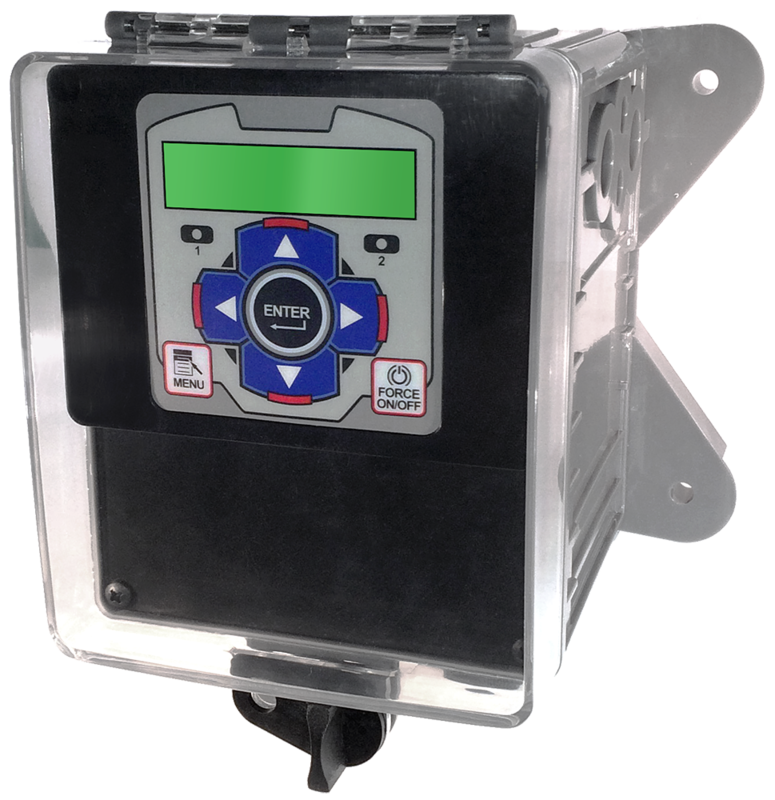 NANO-R units provide ORP monitoring and a single selectable timer. The NanoTron line provides a compact dual relay microprocessor based controller with many standard features and the flexibility to adapt to a variety of applications. There are several different basic function models available.